It’s a month until St. Patrick’s Day, and the annual parade in New York City is already getting plenty of attention. I’ll circle back to that and other issues in the weeks ahead. 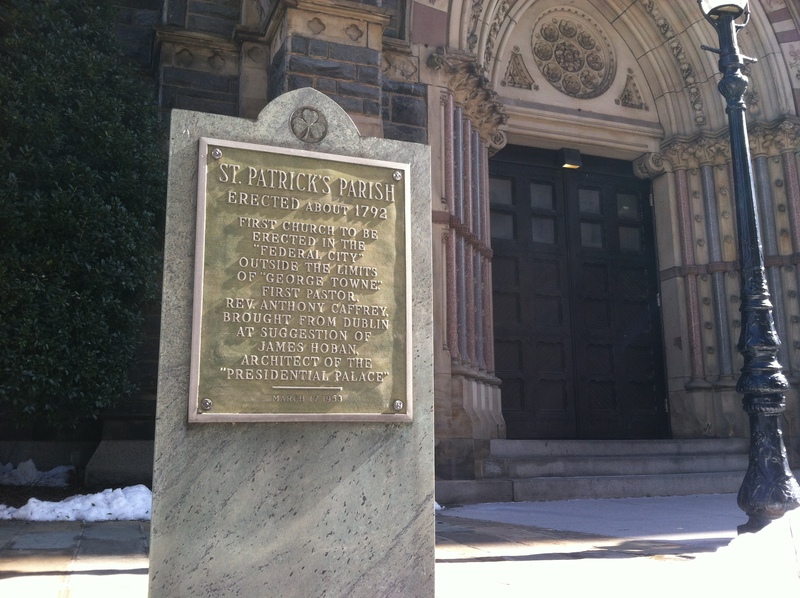 First, I wanted to begin the countdown by attending Mass at St. Patrick’s Catholic Church in Washington, D.C., established about 1792, “the oldest parish in the Federal City.” You can read the church’s history here. 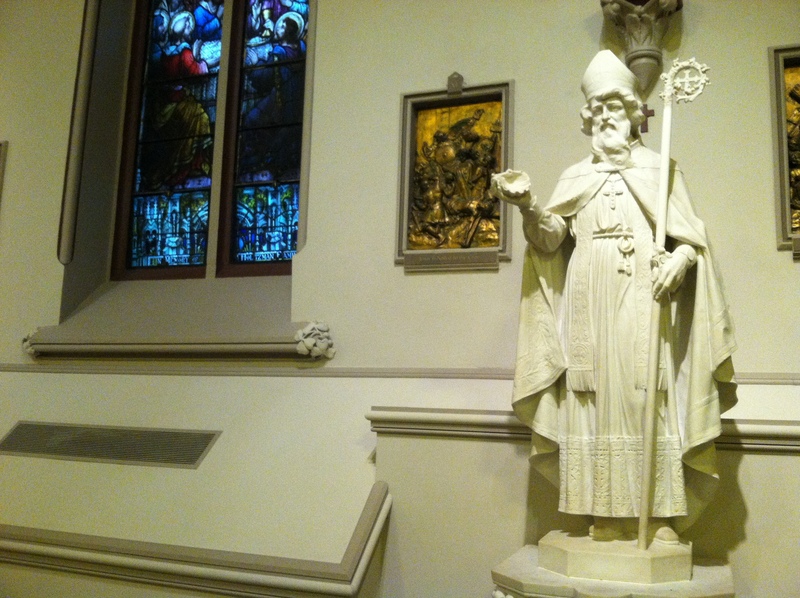 This link details the church’s windows and statues, including St. Patrick, below. It’s a beautiful church, though not likely to surpass Old St. Patrick Church in Pittsburgh as my favorite Catholic shrine and place of prayer. This entry was posted in History, Irish America, Religion and tagged St. Patrick's Day, Washington on February 17, 2014 by admin.